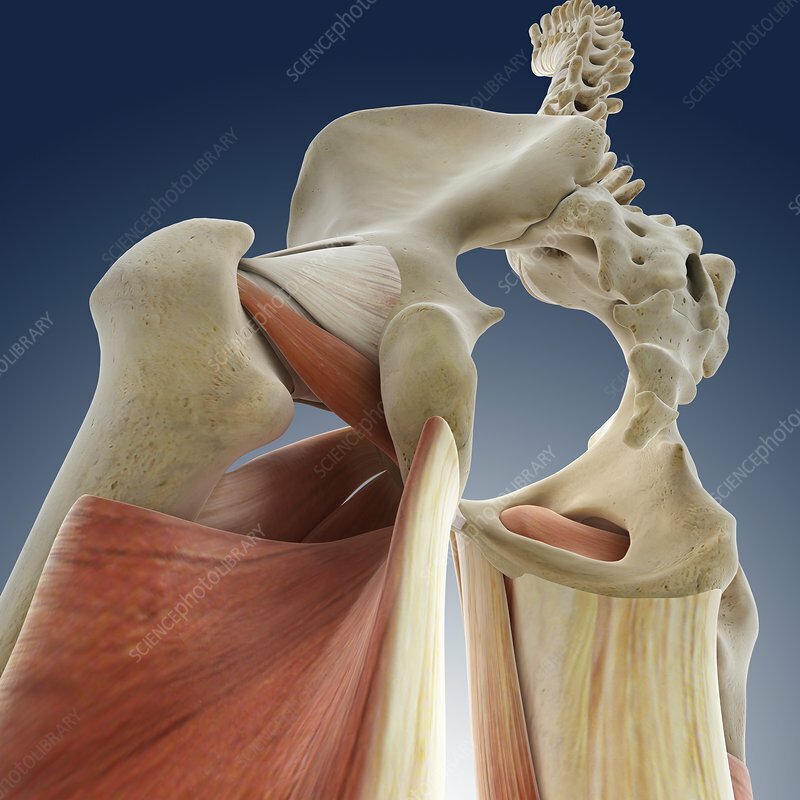 Hip anatomy, computer artwork.The spine is at top with the sacrum and coccyx (tailbone) below it. Either side of the sacrum are the large ear-shaped hip bones, which are formed from three fused bones, the ilium, ischium and pubis. These articulate with the head of the femurs (thigh bones) to form the hip joints. Between the hip bones and femurs are the hip adductor muscles (pink). They act to bring the thighs towards the midline of the body.